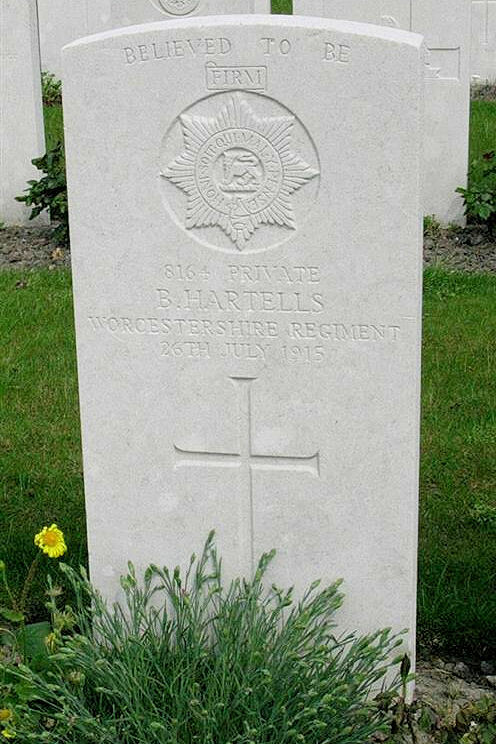 Private Hartnells was a regular soldier who had landed in France with the B.E.F. on the 12th August 1914. Hartnells was shot by firing squad with 3 other deserters from the 3rd Battalion on the ramparts of Ypres on the 26th July 1915. He was 32 years of age. 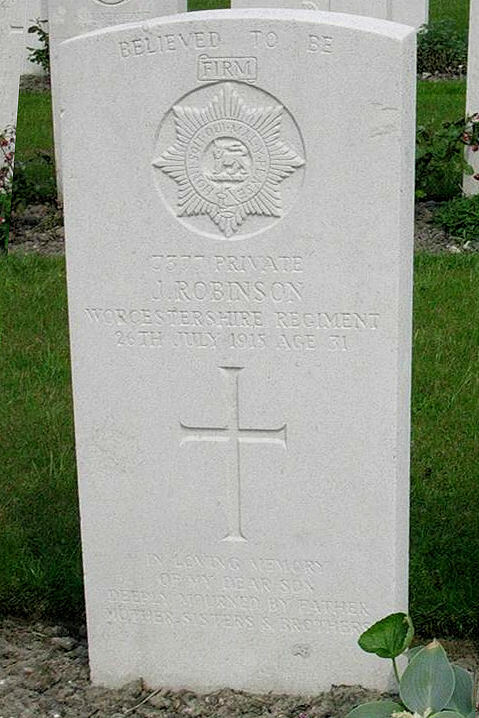 Private Robinson of Nechells, Birmingham was a regular soldier with 13 years previous service and had been with the 3rd Battalion since Mons in August 1914. 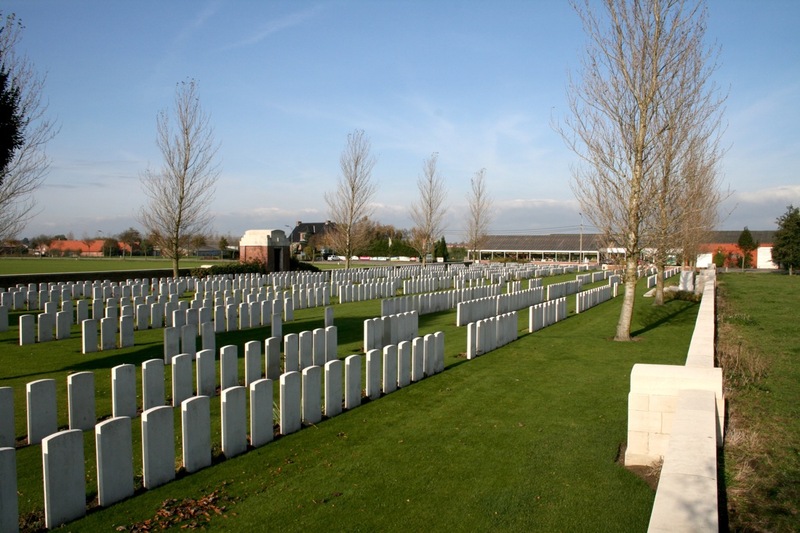 On the 27th June 1915, Private Robinson and Private Alfred Thompson absconded together after they were told that they were to be on night duty in trenches near Hooge. The 3rd Battalion had been in action in this area since 16th June. On the 5th July 1915 both Private Robinson and Private Thompson were arrested at Abancourt while they were sitting on a train bound for Rouen. At their court martial in a statement it said that both men were good soldiers, but that it appeared they were suffering from nervous strain at the time they went absent. Robinson was shot by firing squad with 3 other deserters from the 3rd Battalion on the ramparts of Ypres on the 26th July 1915. He was 31 years of age. 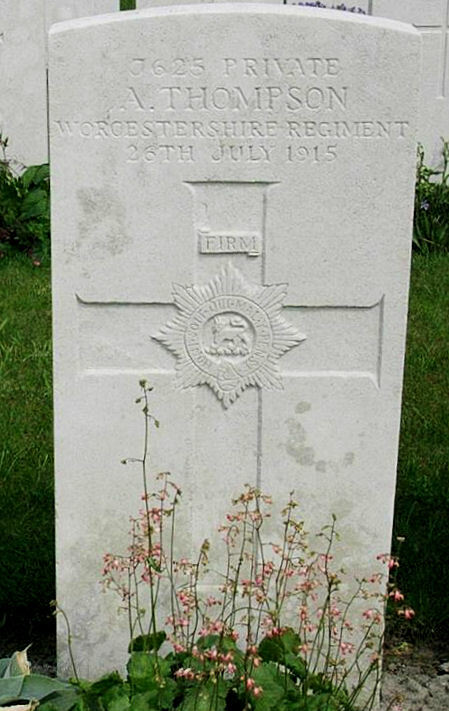 Private Thompson of Holloway Head, Birmingham was a regular soldier. He had joined the Battalion at the beginning of November 1914. On the 27th June 1915, Private Alfred Thompson and Private Robinson (see above) absconded together after they were told that they were to be on night duty in trenches near Hooge. The 3rd Battalion had been in action in this area since 16th June. On the 5th July 1915 both Private Thompson and Private Robinson were arrested at Abancourt while they were sitting on a train bound for Rouen. However, this did not effect the outcome of the trial. Thompson was shot by firing squad with 3 other deserters from the 3rd Battalion on the ramparts of Ypres on the 26th July 1915. He was 25 years of age.